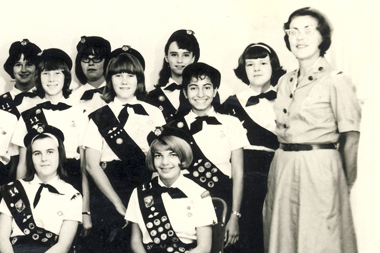 Sheri (MH Wahba) Anderson sent us this wonderful photo of her Dhahran Girl Scout troop, taken in the late 50s or early 60s. 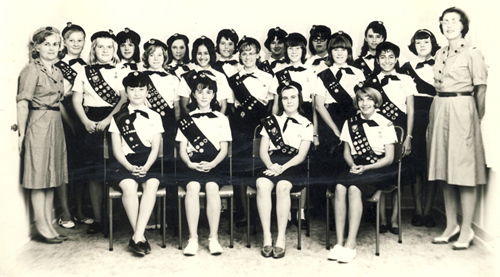 Sheri is seated in the front row on the right. “My hair had been bleached from swimming in our pool while it was filling up with chlorine,” she says. She also remembers that the troop had recently had a sleepover on the beach of Half Moon Bay. 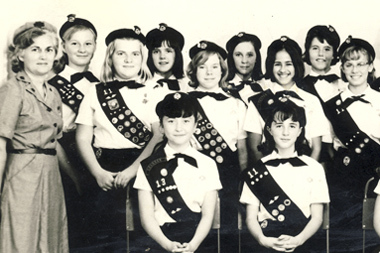 If you recognize any of the girls in this photo, please identify them by Row (Front, Middle or Back) and Number in Row from the left. Below are two zoomed-in versions of the troop photo for aided identification. Email us at [email protected] if you can help us figure out who’s who or if you would like to get in touch with Sheri.